Today is your last chance to purchase your RTV Convention tickets at the reduced price. Buy today for $179. Sign up today and save $70.00 https://www.realtourvision.com/virtual-tour-convention.php We’ll see you at the 2014 Virtual Tour Convention!! Finally, with a new year comes housekeeping. If you have moved or have updated contact information for us, please be sure to send us an email along with your updated W9 so it goes to the correct address for your taxes. Thank you all so much for your support. We wish you all a wonderful New Years and look forward to making 2014 our best year ever. If you’re like us, you’re probably in the throes of pre-holiday frenzy, working to wrap up your projects and close up any pending deals before the winter hiatus. Here at RTV, we’re busier than ever…but we’re incredibly grateful for the growth we’ve experienced, and we’re excited to see what 2014 holds. We just wanted to take a moment to wish all of you a peaceful holiday and a prosperous New Year. Whether you’re a virtual tour customer, a virtual tour provider, or one of our strategic partners, you’re a very important part of the RTV family. The best gift that we could ask for would be the success and satisfaction of everyone in the RTV family. Happy Holidays to you all! I have been an RTV provider since May of 2010. My Ontario virtual tour company provides Virtual Tours that get you Up N Close! My business not only provides Virtual Tours but also Home Inspections. I am located in Woodstock, Ontario, Canada and I service the area within a one hour drive of Woodstock. 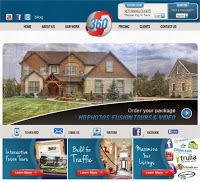 The Fusion virtual tour software system that RTV brought to market in June of 2012 has created tremendous momentum in the Virtual Tour industry. This momentum has been felt around the industry as photographers are signing up in droves for the opportunity to use this state of the art virtual tour system. I can speak of multiple reasons why people are switching from other solutions to RTV but for today’s blog I thought I would talk about just one feature – The Tour Shredder. As I stated earlier I have been creating 360 tours since 2010. In that time I have managed to create over 1600 virtual tours and counting. 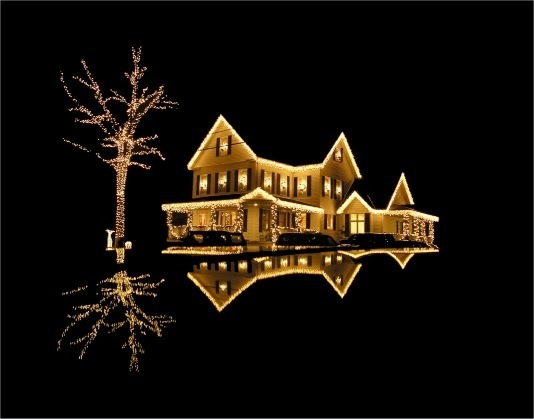 Every real estate virtual tour created has expectations placed on it. The virtual tour must be available at all times, it must be responsive and it must be deleted when no longer needed. This fall, RTV’s Fusion system added the ability to obtain virtual tour credits for deleting virtual tours. What a wonderful idea! For every 20 virtual tours I delete, the system gives me back 1 tour credit. I simply delete the virtual tour, the tour management screen refreshes, and my tour shredder counter decreases by 1. I can watch the counter move towards my free tour credit every time I use the system. Sometimes when I’m out of credits and know that I have tours that should be deleted, I will start deleting virtual tours that I have deactivated for agents already knowing that the listing was already sold and completed. As of December 2013, I have grabbed 9 free tour credits, because I deleted old, unnecessary virtual tours! Something to be careful of when deleting tours: Make sure the deal has actually closed!! I have done this long enough to know that when the agent says the property is sold that the deal doesn’t always go through on the closing date. If you can deactivate it when instructed and delete it after closing, is the best solution. Whether you are new to creating Virtual Tours or new to RTV. I have found the staff to always be more than helpful. My fellow RTVers are always able to coach and advise on possible solutions to any photography or issues. Tours that get you Up N Close! As a virtual tour provider, you need a great-looking website that promotes your virtual tour services and showcases your stunning 360 virtual tours. But you don’t have to spend a fortune on a fantastic website. These three website builders are free—and you’ll get tons of features and functionality along with an amazing look. The most popular free website platform around, WordPress.com makes it super easy to create a virtual tour website. There are thousands upon thousands of templates to choose from—many of them with eye-popping photo and video sliders that place the focus on your virtual tours. Plugins are another great feature with WordPress. You can find a plugin for just about any feature you want on your website, and most of them are free, too. It’s easy to set up, add content and pages, personalize layouts, add links, and more with WordPress. You can even get a private domain name with a free WordPress website for $25 per year. Originally designed as a Flash-based website builder, Wix offers hundreds of stunning templates with the majority now in HTML5—which makes your website mobile-responsive. But this platform has preserved its original intent, with the majority of its themes designed for creative content like video, photography, fashion, food, and journalism making it a nice fit for virtual tour operations! An easy interface with drag-and-drop and click-to-edit makes Wix websites a breeze to set up. There’s also plenty of free content you can add, and 24/7 technical support available. A private domain name with Wix costs just $14.95 per year. A simple, powerful, and free site creator, Weebly lets you choose from hundreds of modern, unique themes that are fully customizable. Built-in SEO and analytics help you bring more traffic to your website, and you can display videos in HD format to maximize the impact of your virtual tours. While Weebly doesn’t offer hosted domains, you can use the free website builder with a domain name you’ve purchased from a web hosting company (for example, GoDaddy.com, with prices starting at $1 per month). If you want the least amount of work on your end and would like something custom made for you RTV offers a very easy to use ready to go out of the box virtual tour company site. Check out some of the templates, pick your colors, fonts and a few days later your site will be completely ready to roll. From there you’ll only be paying $25.00 per month with no commitment as they operate on a month to month basis. This is a great time to travel and we are thrilled to be having this event at the Park Place Hotel once again. The Park Place Hotel is located in the heart of downtown Traverse City which is filled with great restaurants, shopping outlets, and entertainment. Our Momentum Convention will be a great time for everyone to get hands on training, socialize, and get to know our virtual tour company a little better. We will cover the ins and outs of virtual tour creation, photography, and the components that are required to run a successful virtual tour business. While learning about RTV and meeting other professional photographers, you will also have time to enjoy dinners, drinks, festivities and get acquainted with several of our vendors that will be helping to sponsor this amazing once-a-year event. If you have never attended the RTV provider Convention, make this your year! Get in person training, meet other providers, meet the staff, shop and chat with our vendors, and be part of all the excitement! April is coming sooner than you may think, so don’t wait to get your attendance tickets! 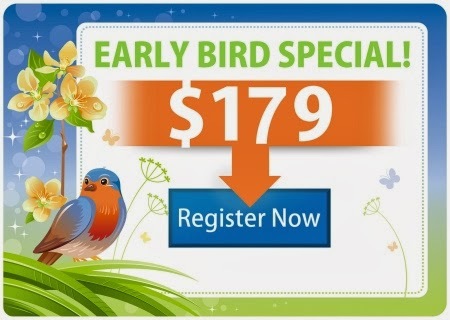 Register before January 1st, 2014 and save $70.00!!! We are now offering the Early Bird Special (Offer Ends January 1st 2014) for a great price of $179! This will cover your 4 day weekend with RTV at the Park Place Hotel. Each person attending classes will need to register as a convention attendee and your dinner ticket is included in that price. If you’re bringing someone who will not be attending the classes but would like to come for the dinner you will want to purchase additional dinner tickets below. We have special room rates and rooms blocked out for attendees. There will also be an Awards Banquet after dinner on Saturday evening. 2013 was an AMAZING year for our company and from what we can see, yours too!! We couldn’t have done it without all of you and we’re looking forward to seeing the momentum continue right into 2014 and beyond. Don’t forget to spread the word and let’s make 2014 our biggest year yet! Thanks for your continued support and we’ll see you soon!